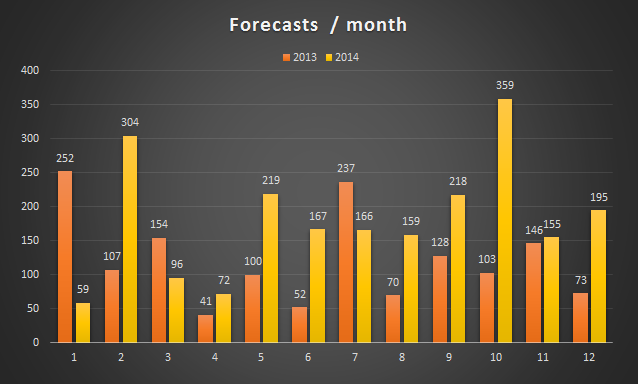 The latest statistics for Weather Forecaster has arrived, and the usage seems to be slighty increasing! Yeah! And Thank You -the users. I have actually started to plan another version for the Forgotten Realms. But lets see how it finally turns out. This entry was posted in Gaming and tagged greyhawk, weather forecast by Tomi. Bookmark the permalink.